Job had it all! A beautiful wife, loving and obedient children, a comfortable lifestyle, respect from his peers... everything he might want. He also had what he considered to be a good, earned, relationship with God. Ironically that relationship is what led to both his worst failures and his greatest achievement. Like so many of us, Job was lacking in one critical thing. I'm assuming that you have at least basic familiarity with the book that bears his name (if not don't worry about it). In this study we will be seeking insights from the book's conclusion, especially 37:7. Very briefly, by the decree of HaShem Job lost everything: his family, his reputation, his wealth, everything that he had worked so hard to develop and for which he felt so much pride. Through his experiences he learned much, both for himself and for the billions of people who have heard and read of his life over the millennia. If you haven't read the book I strongly encourage you to do so. Seeing his plight three of Job's friends had previously sought to help him uncover the cause of his sufferings. Their advice was quite rational and reasonable. They spoke intellectual truths according to worldly wisdom, not unlike the world's wisdom today. In the end however their advice amounted to nothing because it did not proceed from the wisdom of HaShem. Whatever was happening was destroying everything in his life. Job listened to them but defeated their philosophies using his own human wisdom. He had also been blessed with a keen mind and yet logic could not soothe his angst. Job 13:15 Behold, let [God] kill me, yet will I hope for Him; but I will prove my ways to His face. Or as I read it: Look, let [God] kill me, but still I will dwell in His Presence and even argue [the rightness of] my path to before Him. 37:23 We have not found the Almighty great in power, and with judgment and much righteousness; He does not afflict. 37:24 Therefore, men fear Him; He does not look upon any wise of heart. Or as I read it: 37:23 El Shaddai [the Almighty], is not conceivable [but is] great in power and judgment and possesses abundant righteousness; He does not browbeat. In other words, 'You are accusing HaShem of being unjust! Yes, you are innocent, but what of it? What is happening in your life is certainly from HaShem because He is Lord of all. You understand this much correctly. What you do not understand is that what He does, He does for our ultimate good. HaShem does not browbeat or unjustly afflict His children! If you want to understand why these things are happening, you should humbly seek Him with emunah (active faith)'. This is something Job had not done. Everything ultimately comes from HaShem. This is known as Divine Providence. Everything that comes from HaShem is for the ultimate good of the individual and the world. Having free will, individuals should seek to understand these messages from HaShem in order to advance the cause of Tikkun Olam (repairing what is broken in order to speed the coming of Mashiach). Job 13:15 Behold, let [God] kill me, I will hope for Him; but I will prove my ways to His face. 37:5 God thunders with His voice wondrous [thunders]; He performs great deeds, but we do not know. 37:6 For He says to the snow, 'Be upon the earth'; likewise to the shower of rain and to the showers of His mighty rain. 37:7 By the hand of every man he seals so that every man should know his deed. Such things are understood through emunah but are lost on those who rely on the intellect and human prowess. This is even truer today when we believe we understand weather patterns and animal migrations. Many believe they have surpassed the Creator now -- may Heaven forgive such foolish thoughts. 38:2 "Who is this who gives dark counsel, with words, without knowledge?..." Elihu's self-evident emunah assures us that HaShem does NOT browbeat or unjustly afflict His children (37:23)! Rather, for our redemption HaShem determines both Divine Providence and the Laws of Nature. Within the confines of these two Laws we exercise our God granted free will. Through this process HaShem brings us, step by step, into harmony and ever greater light. Everything He does He does for our ultimate good. As we progress He receives the glory (Hebrew: kabod: honorable credit) because our advancement is solely due to His Wisdom and Compassion. So why do bad things keep happening? We need to see/understand for ourselves that we alone are responsible for our actions. When we pursue what is good we receive positive results or merits but when we choose to do what is wrong we bring negative reactions onto ourselves. This is a well established law of nature. 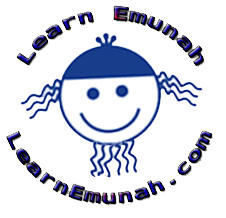 Everyone is subject to this law, unless they live with emunah. With emunah all things are possible. Those who live with emunah humbly thank the Giver of Life and seek harmony with Him. Their Law is Torah, not the laws of nature, therefore they abide under His Divine Providence not the 'automated' laws of nature. Such people know and experience the ultimate good intended for our planet by HaShem. Even now in the Olam Hezeh (i.e. 'the world as it is') such people experience Gan Eden (i.e. the world as it will be under Ha Mashiach). When we use our free will to make the needed soul corrections we take part in Tikun Olam, the repairing/redemption of the world. This is the highest and most noble thing a human being can do. This is why so many Jews have historically been humanitarians, equal rights advocates, etc. Religious Jews are to focus on blessing the world of the here and now rather than worry about the world to come. We are here for a reason: to be a blessing. Job's problem was, as blessed as he was, he believed he could do this on his own. emunah is what he was lacking and emunah is what the world still lacks today. The intellect is not enough. Technology is not enough. Science is not enough. Logic is not enough... Torah is enough when correctly observed with emunah. We are held accountable for the actions we perform, good or bad. When we do negative deeds the results are 'sealed' to us as debts but when we do positive deeds we are awarded with credits (37:7 above). Of course, this is a simplistic way of thinking about it. Precisely how HaShem performs His Judgements is beyond our understanding. But we know that His verdicts are ALWAYS for the ultimate good of the individual, the Jewish people, and the world (Genesis 12:3). Those who fail to embrace emunah are left to shifting sands of the laws of nature. 42:16. ... Job lived thereafter one hundred and forty years, and he saw his sons and his sons' sons for four generations. 42:17. Then Job died, being old and sated with days. Fortunately, like Job we too can become free of our debits through teshuvah (repentance) and Torah observance (i.e. by observing the 7 Laws for non-Jews or the 613 Laws for Jews) WITH emunah and kavanah or right intention. We formally seek HaShem's forgiveness as a people annually on Yom Kippur, but we do well to seek Him everyday during hitbodedut (secluded prayer) and indeed during every moment and with each breath we take. By the hand of every man he seals: When a man sins before Him, the man himself signs his signature on the day of his death to the sins that he committed, which are written before him. so that every man should know his deed: to let him know for what he is being judged. God's greatness is unfathomable: that is why teshuvah [repentance] has such power. No matter how far you may have fallen -- be it to the lowest depths -- never despair, because you can always return to God. With just a little effort you can turn even your worst sins into merits. No matter where in the world you fall, you can easily come back to God. This is because of His unfathomable greatness. Nothing is beyond His power. Just never give up! Keep crying out, praying and pleading to God at all times. God shows us great kindness by governing the world with individual providence and through the laws of nature. When people are good, God deals with them providentially, in a way that goes beyond nature. However if God were to oversee the life of an undeserving person in accordance with His providence, no good could ever reach him. Nevertheless out of kindness, God leaves this person to the laws of nature, and as a result , through the law of averages, things may then go well for him. If God's only way of running the world were through providence, rewarding good deeds and punishing sin, this could lead to a total breakdown of providence. For if God were to see someone acting improperly and dealt with him in anger, He might cast him out completely. Instead, God abandons him to nature, and when he improves his ways, He deals with him providentially. But in actual fact we are quite unable to understand what is "nature" and what is "providence", because the truth is that even the laws of nature are really God's providence. However, the human mind is unable to grasp the paradox that what appears to be the law of nature is really God's providence. -- Rebbe Nachman, Likutey Moharan II, 17. As with Job, no matter how dark your days may become there is always Light if you place your faith (emunah) in HaShem Alone and with proper intention (kavanah) seek Him. May you be successful in this. May we all.